Shares of Amazon.com, Inc. (NASDAQ:AMZN), Netflix, Inc. (NASDAQ:NFLX), eBay Inc (NASDAQ:EBAY), and Etsy Inc (NASDAQ:ETSY) were all trending on Thursday after Netflix announced that it will raise the price of its most popular streaming option by $1 a month, while Amazon.com announced that it is launching a handcrafted goods marketplace on Thursday to take on Etsy and eBay. Netflix shares gained 6.32% and another 1.27% in after-hours trading, while Etsy and eBay were both down following Amazon’s announcement, shedding 4.30% and 5.96% respectively. Let’s take a closer look at the news and examine the hedge fund sentiment towards these companies, and where they stand going forward. 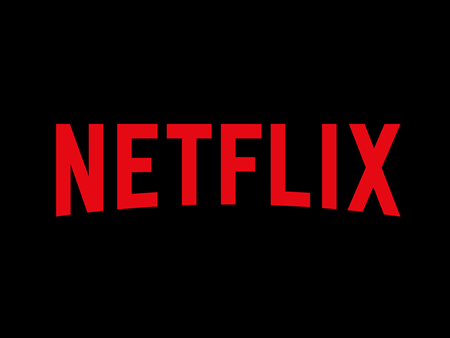 The last time Netflix, Inc. (NASDAQ:NFLX) raised prices in a major way, its stock fell from a split-adjusted $42 to $8.50 a share. Investors worried the price hike would drive subscribers to other streaming competitors such as Amazon and Hulu and worried Netflix would go under from its billions in show commitments. Although the bears were right for a period, management fixed things by making its own hit shows such as ‘House of Cards’. The unique shows made Netflix more like an online HBO and widened Netflix’s moat; they ensured greater customer loyalty. This time around, Netflix management is raising prices piecemeal so a repeat of 2011 doesn’t occur again. The streaming giant is raising prices only for new subscribers in the United States, Canada, and parts of Latin America, while granting existing users a temporary reprieve from any price hike, which could last as long as 24 months. Netflix needs to charge higher prices to finance its aggressive international expansion and to deliver the profits that its shareholders expect. Investors will be closely monitoring the price hike’s effect on new subscribers in the quarters to come. Any softness in new subscriber numbers will dent shares. Although it’s hard to imagine a $1 price hike having a material effect on subscriber numbers, when coupled with the loss of its rights deal with Epix, it’s possible it could be just enough to push some current or potential subscribers to choose another service. We already wondered last week if Amazon had already surpassed Netflix as the best video streaming service in the U.S, and a $12 annual price hike to Netflix only seems to align ever more with that thesis. While a price hike of Netflix can do nothing but help competitors like Amazon and Hulu, as mentioned, it’s unlikely to have a huge impact on the flow of subscribers between the services, so ultimately, the hike should benefit Netflix long-term. Our data shows that hedge funds were bullish on Netflix, Inc. (NASDAQ:NFLX). Of the 730 elite funds in our database, a total of 50 funds reported Netflix long positions worth $6.15 billion, accounting for 15.40% of its market cap, in the latest round of 13F filings, versus 47 funds with $3.86 billion in long positions a quarter earlier. 9.8% of the float is short. Chase Coleman’s Tiger Global Management LLC owns 2.57 million shares while Philippe Laffont‘s Coatue Management owns 286,585 shares.